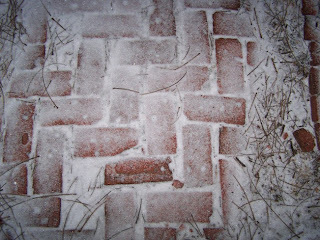 Though now it sounds as if it is kicking back in a little harder (the sleet that is). Snow is much prettier to watch falling out of the sky, but sleet makes a cool ping-y sound as it comes down, even though you can't see it. 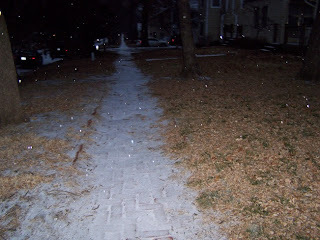 I did get a nice picture of the sleet, however, using the flash on my camera. This picture will be part of my project 365 photos. I have decided not to show each picture on this blog, but you can see them on my flickr site. The link is in the side bar.